John McAfee, whose fame exists rather heavily due to the software company he founded in the late 1980s, took to Twitter yet again on February 2, 2018, to reaffirm that he was indeed bullish on bitcoin. In an attempt to predict bitcoin’s price at the end of this decade, McAfee had previously stated that it would reach “$500,000 by the end of 2020”. In November 2017, he tweeted that the cryptocurrency had accelerated much faster than expected, causing him to raise his prediction to $1 million instead. McAfee’s bitcoin prediction is not all that he has stated in his tweets though. He has claimed that if bitcoin does not reach his price target by the end of 2020, he will proceed to “eat his d**k on national television.” While it is obviously near impossible that any televised network will allow such a demonstration on air, McAfee is perhaps trying to instill greater confidence in his prediction. That said, most people, including some diehard cryptocurrency enthusiasts, have derided his bold claims. According to McAfee, his “prediction model” had only forecast bitcoin reaching $5000 by the end of 2017. The reality, however, panned out to be quite deviant from his model, with the digital currency finding itself at an all-time high peak of close to $20,000 in December 2017. Bitcoin, along with the entire cryptocurrency market, has been on a steady decline since reaching that peak, with the cumulative market cap at least 40% lower than what it was a month ago, at least as of the time of writing this article two months later. Naturally, this has prompted people to question McAfee’s prophecy for the future. If bitcoin were to hit $1 million by 2020, it would have to appreciate a hundred times from its current valuation. John McAfee recently ended his role as the chief cybersecurity visionary at MGT Capital Investments. The company not only has a significant stake in hydro-powered bitcoin mining, but has also been working with blockchain technology to develop security-related products. Interestingly, McAfee has been a rather strong proponent of the bitcoin fork, Bitcoin Cash (BCH). He even alluded to the two cryptocurrencies potentially battling it out for the top position sometime in the future. Most Bitcoin Cash supporters believe that the original bitcoin is too bloated and unusable as a currency or substitute for cash, thus necessitating the fork. 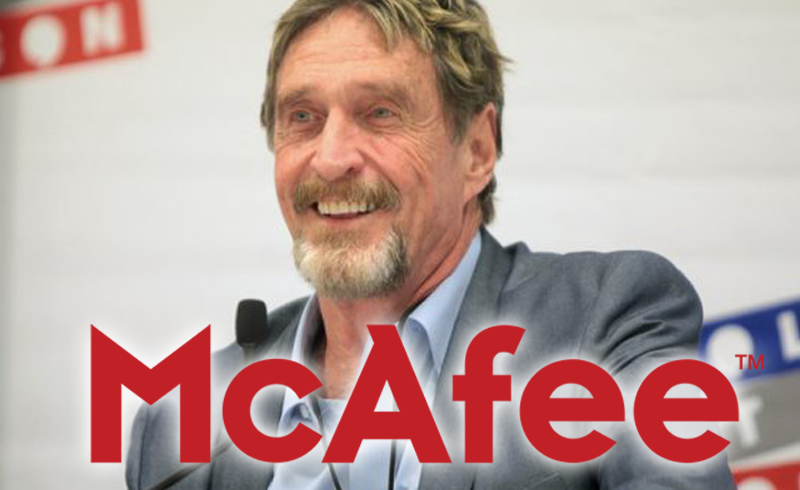 McAfee not only believes that BCH is a possible cash-based payment system, but also that it may dethrone bitcoin as the de facto cryptocurrency. That said, his BCH vision surprisingly does not jeopardize the one in which bitcoin reaches $1 million within the next couple of years. It remains to be seen whether bitcoin will once again retrace its steps back to the all-time high established back in December 2017. While past performance is no indicator of the future, it is very likely that the entire digital currency market will recover sooner or later as it always has. Once that happens though, one can only speculate whether McAfee’s audacious price target is attainable or not.